In preparation for doing this set of GCL questions, I wanted to be sure that I didn’t repeat a previous question. (I haven’t been keeping up with the GCL as much as I’d like…) So, I went back over our illustrious 21-week history, and made a list of all of the questions asked so far. Many good questions, some ones that I never got around to answering and would like to, and a few that could inspire additional questions down the line. Question: What (non-game) lists do you encounter in your family life, or your personal history, that have some importance or memorable place? 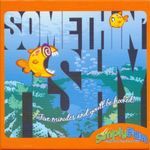 BGG is full of lists – so many Top 10’s, Top 100’s, etc. documented. Perhaps it’s peculiarity that is heightened in gamers – making carefully considered lists. But, I think it’s remarkable that the site has the Geeklist as such a central feature - in effect, programmed into BGG’s very DNA. I’m not aware of any other website that has this central feature – and BGGers have exploited it in so many entertaining and/or informative ways. 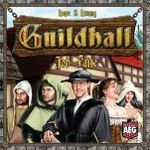 Name one of your favourite BGG Geeklists – single or recurring. Now to your own gaming, family or otherwise. Is there a list that figures prominently into your gaming? Bonus, non-Listomania topic – brought on by my son’s 13th birthday and growing interest in the internet and the web. He is very interested in games (see the next list entry below) – but I have never told him directly about BGG. But, I know I should – he’d be very interested. 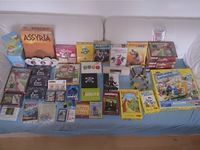 Question: Do any Beehivers have experience telling their kids about BGG (or other internet game-related sites) – do they have accounts? Spend inordinate amounts of time reading Geeklists? My children were on half-term break last week and this week, so gaming has mostly been with them, between trips out and about (swimming, ice skating, shopping), although I also had my usual Friday evening session and some gaming at the weekend with my husband. Also, last weekend's gaming session ran into Monday, with me spending Monday morning playing two player games. Core Worlds arrived in the middle of the session, so we've played it a few times this week - although I can't wait until the expansion arrives - I much prefer it with the expansion! 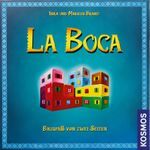 I haven't played a board game with my mom in over thirty years, and so playing La Boca with her for a few minutes the other morning earns that Game-of-the-Week status. 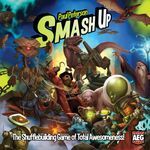 My week can be viewed in greater detail here: Item for Geeklist "What Did You Play This Weekend? 10/28/2013" . I loaned Dominion to a friend of mine this summer and we've regretted it ever since! 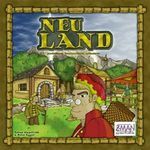 Met him last weekend and took it back, and played a few 2 player games, against my brother-in-law and Hildur. Also managed to play a couple of games of Power Grid, it's been a while since I played. And then a few games with the boy, he usually enjoys playing a few games each week. 51 games in one week - well, I was in Essen (demoing games, otherwise it would have been more, I guess). Most games I played were new; Mölkky was the one outside the scope. Fun game! And I even got to explain it to Wolfgang Kramer and his wife. But there were several other games I liked; Quint-X, Masters Gallery, Koryŏ, Five Cucumbers and Machi Koro. You can see my Essen loot in the image. In the few breaks I had, I managed to present a few games and prototypes to publishers. Let's see what comes out of that. 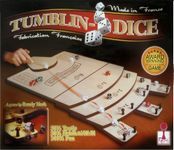 I found a copy of Tumblin-Dice at a thrift store and now realize why it gets so much love on the thrift lists! We played a dozen times at least, and are ready for more! My wife made a work trip up to Portland, which allowed me to finally complete a trade that’s been in the works for about 8 months. The main thing I received was Wings of War: Famous Aces, which caused my son & I to get out all our Wings of War parts and have several dogfights — most of which I lost — as usual. I also played Qwixx with my son, and he played Cat & Mouse with a friend.